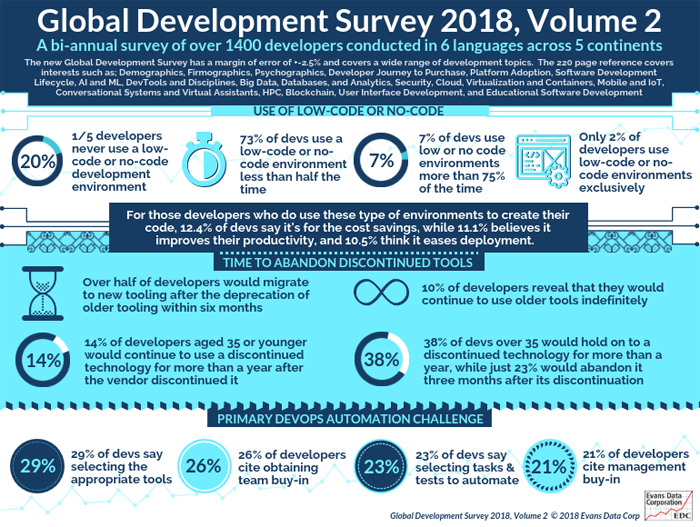 The Global Development Survey is a broad survey of developers worldwide, conducted twice a year that covers all of the hottest development topics. This series started in 1998, focusing on language, tools, and technology adoption. 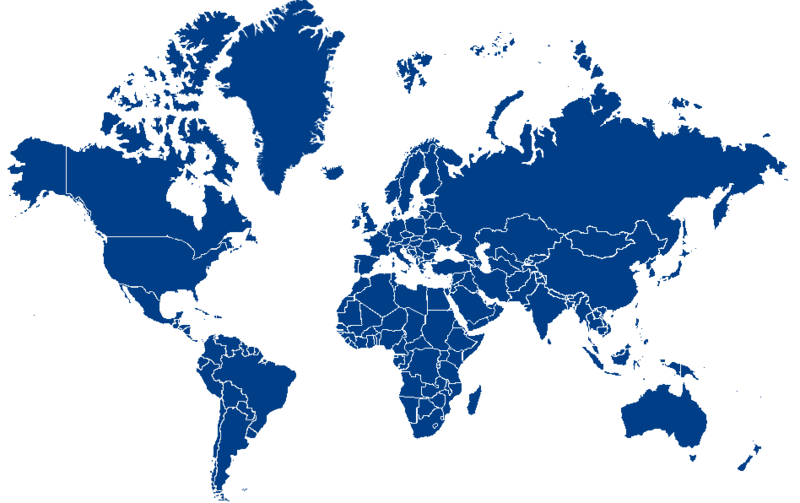 It is delivered as an aggregate report which includes in-depth analysis on global development and the Data Analytics Console which provides the data behind the report with the versatility of 26 filters. While other Evans Data surveys specialize in particular areas of development such as Cloud, AI, ML and Big Data, IoT and Mobile Development and are restricted in their sample to only those developers in that discipline, the Global Development is open to all types of software developers. Conducted twice a year in six languages with over 1400 developers worldwide this survey also explores: demographics, firmographics, psychographics, developer journey to purchase, platform adoption, software development lifecycle, artificial intelligence and machine learning, development tools and disciplines, big data, databases and analytics, security, cloud development, virtualization, containers, mobile and IoT, HPC, conversational systems and virtual assistants, blockchain, user interface development, and educational software development.